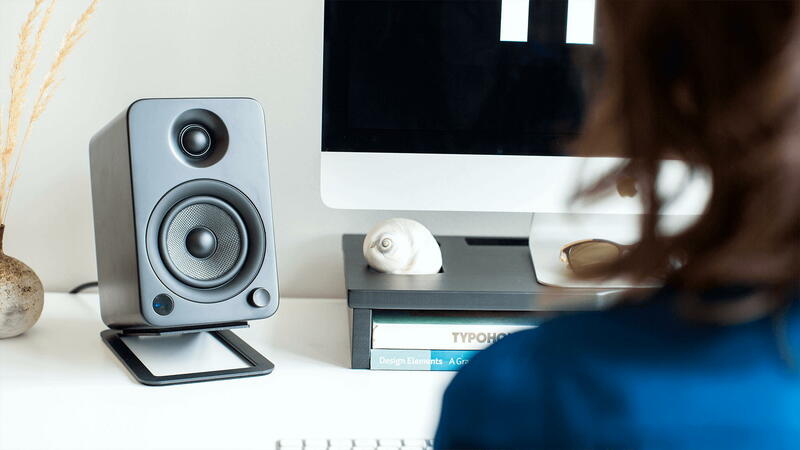 S4 speaker stands are the perfect addition to your desktop speaker setup. 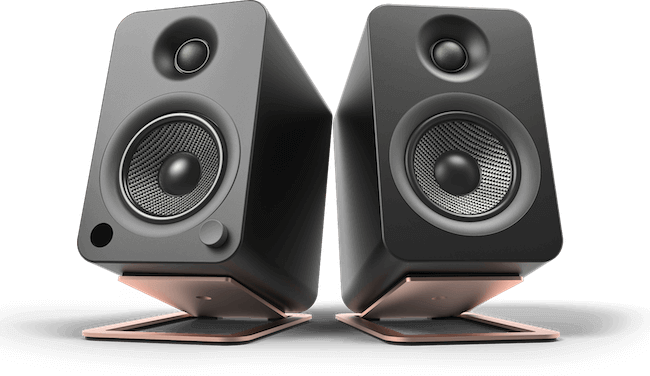 With 16 degrees of upward tilt, they ensure you experience the full range of frequencies your speakers have to offer. 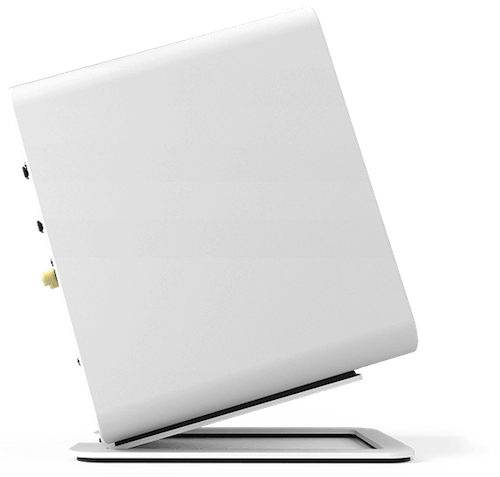 Each stand features foam padding to reduce vibration when you have the sound cranked up, and includes a mounting hole and 1/4”-20 screw to secure your YU4 or other compatible speakers in place. Tilting your speakers upwards helps your ears capture a wider range of frequencies, improving the overall listening experience. 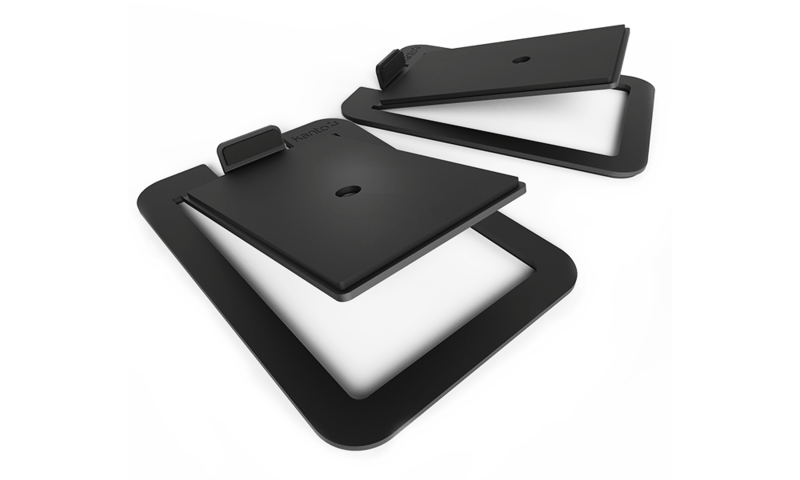 Foam padding on the top and bottom of each stand helps to isolate your speakers and reduce undesirable resonance. 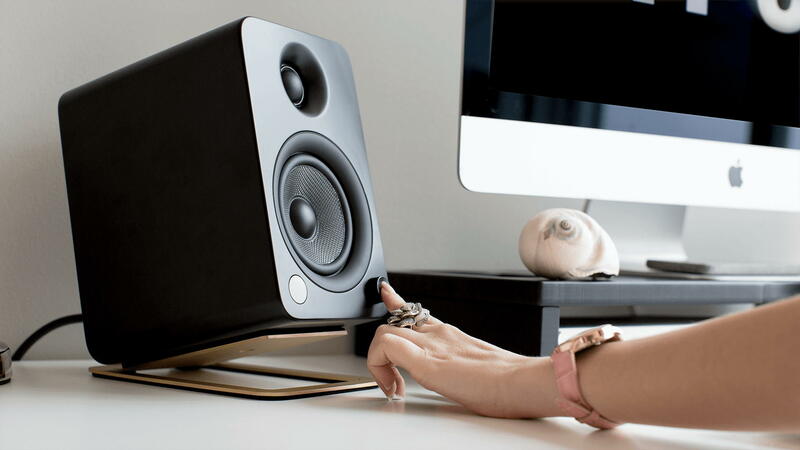 Pair your S4 stands with YU4 powered desktop speakers for a fully upgraded audio experience. 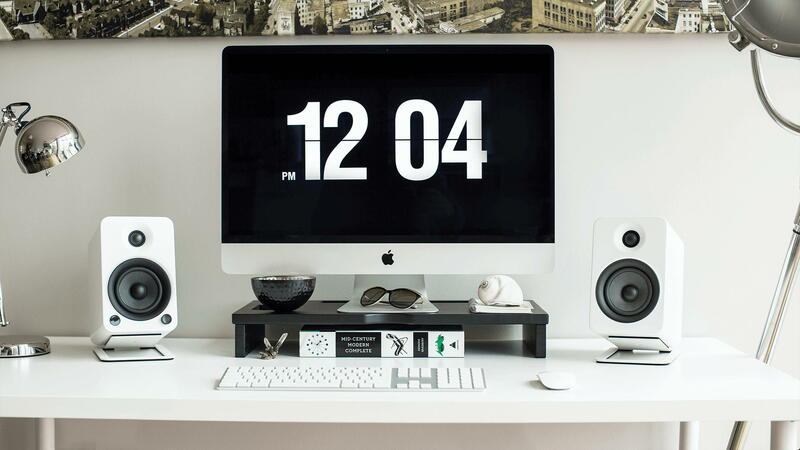 Available in a variety of colors to compliment your setup.